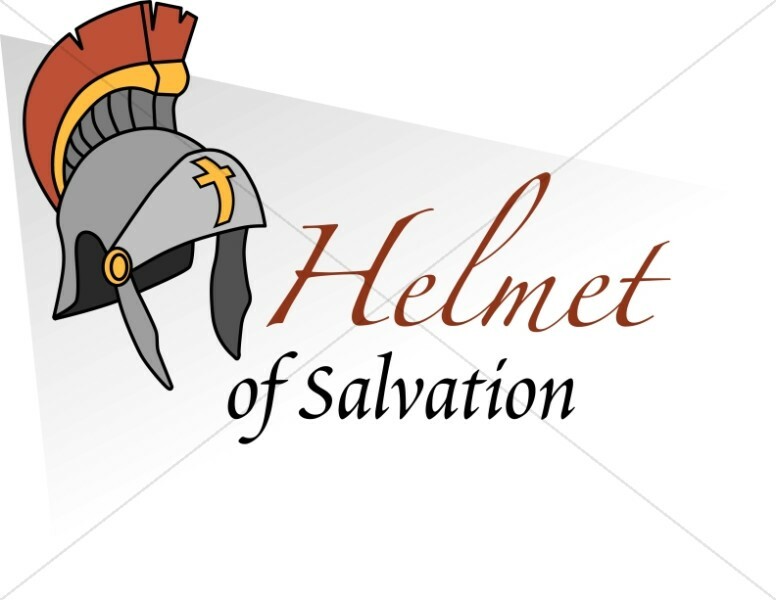 The helmet of salvation represents assurance of salvation. And many who are saved don’t know how to put on the helmet of salvation—referring to assurance—which makes them an easy target for the accusations of the devil. Paul often teaches assurance side by side with the need to respond to the gospel. Spiritually speaking the helmet of salvation provides hope and protects the mind against anything that would disorient or destroy the Christian, such as discouragement or deceit. A helmet protects a soldier against damaging and deadly blows to the head. Our mind is precious and we must protect it by obeying God at all times. The hope of salvation is for the head. It covers our minds, intellect or reasoning. Hope has a very different meaning from what we use the word for in the normal sense of the word. Amen. We are to start the day in the Word and in prayer asking God for His help and strength throughout the day. Memorize Scripture to keep our sword sharp. Saturate ourselves in the Bible: God’s Word is truth that fights against the father of lies. I found that when I forget or just can’t get in the Word of God, the day is so troublesome for me. I am learning to know I need to get in the Word daily because my mind needs it to get through the day. The full Armor of God quote outlines these aspects of belief: the belt of truth, breastplate of righteousness, preparation of the Gospel of peace, shield of faith, helmet of salvation and the Word of God and Prayer. The armor that is available for believers to put on is God’s own armor (Isaiah 59:16-19) for He is the Divine Warrior. “16 And he saw that there was no man, and wondered that there was no intercessor: therefore his arm brought salvation unto him; and his righteousness, it sustained him. 17 For he put on righteousness as a breastplate, and an helmet of salvation upon his head; and he put on the garments of vengeance for clothing, and was clad with zeal as a cloak. 18 According to their deeds, accordingly he will repay, fury to his adversaries, recompence to his enemies; to the islands he will repay recompence. 19 So shall they fear the name of the Lord from the west, and his glory from the rising of the sun. When the enemy shall come in like a flood, the Spirit of the Lord shall lift up a standard against him. Glory to God!!! What The Armor of God Represents. The Armor of God is based on a scripture found in the New Testament. The Apostle Paul states in Ephesians 6:12-13, "For we wrestle not against flesh and blood, but against principalities, against powers, against the rulers of the darkness of this world, against spiritual wickedness in high places. We know that we need to dress proper for battle each day.